Small and solo businesses using the internet as an arena are on the verge of making big bucks. Electronic commerce is now a finely tuned machine, and more entrepreneurs invest in an online presence. Every small business should have a website—it enhances your legitimacy. It doesn’t matter if you sell products or offer services, your best shot at success is a professional and functional website. As a business owner, you are aware of how much effort goes into each post: choosing your products, polishing the layout, staying in touch with visitors. It can be worthless without good conversion rate optimization. Not every visitor becomes a customer and that’s bad for business. 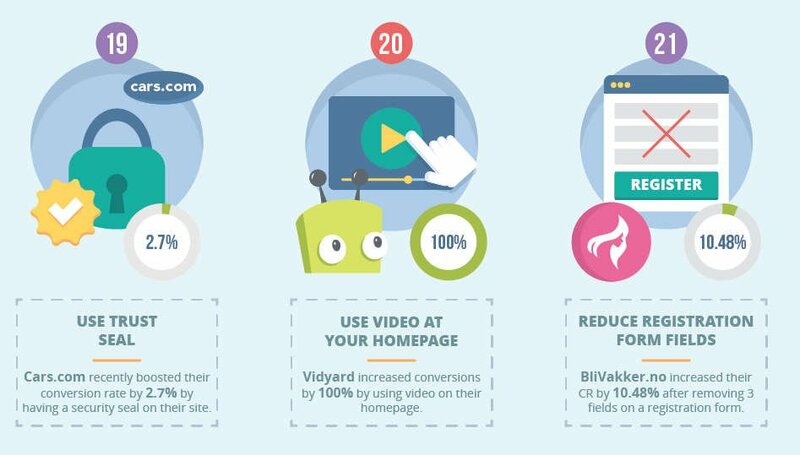 Here are 46 tips on how to optimize conversion rates and get the desired results from your website. 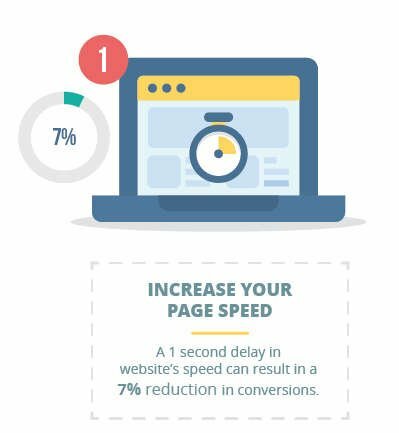 First, you will want to increase your page speed. You only have three seconds (or less!) to capture your visitor’s attention or they are gone! Visitors to your website expect to see the logo in the upper left. You may think it looks better aesthetically to be centered or on the right but your conversion rate will increase if placed in the standard upper left position. 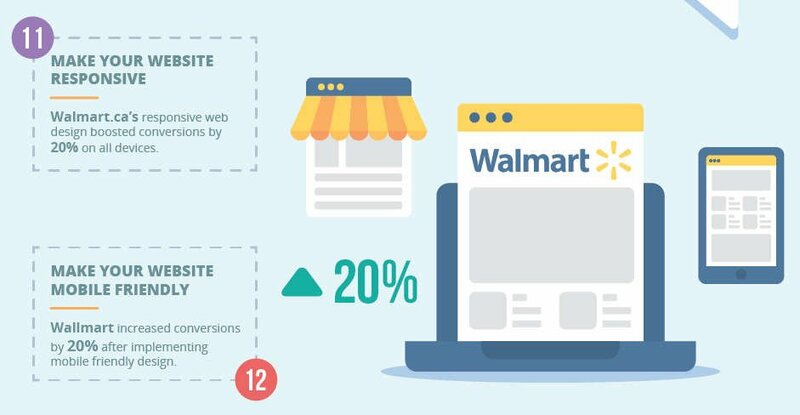 A cluttered home page for an eCommerce site can actually be detrimental to your conversion rate. 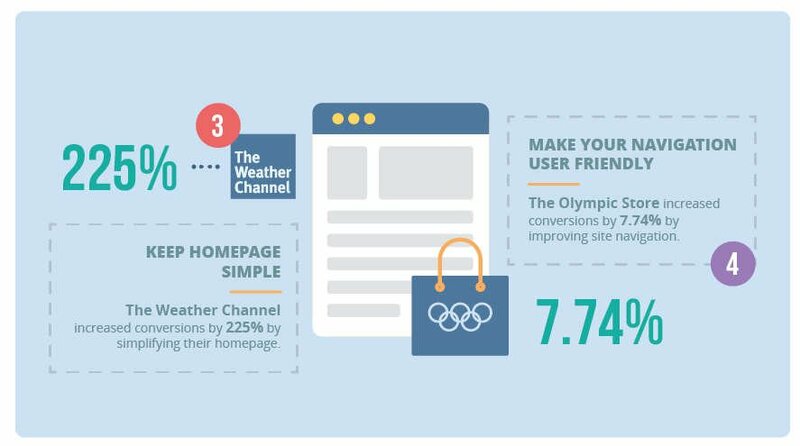 Help your customers find the information quickly and easily by keeping your homepage and navigation simple. Keep landing pages short and use live chat, especially on high-ticket items. If you have physical products, offer free shipping. 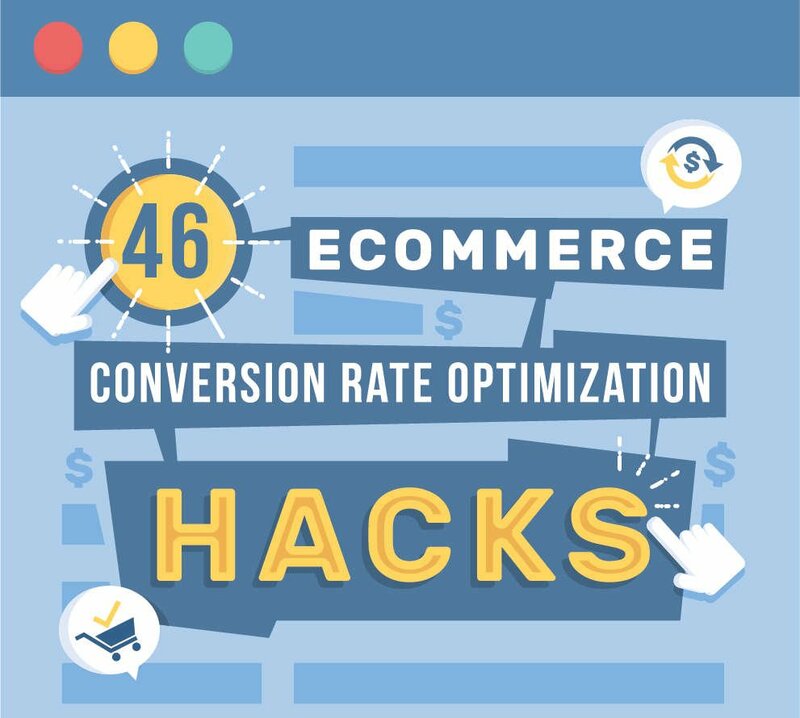 You may only be able to do this with items that have significant markup but when you do you will see a great conversion rate optimization. If at all possible, avoid captcha on form submissions. Google Captcha now supports invisible captcha in version 2 of its free service. 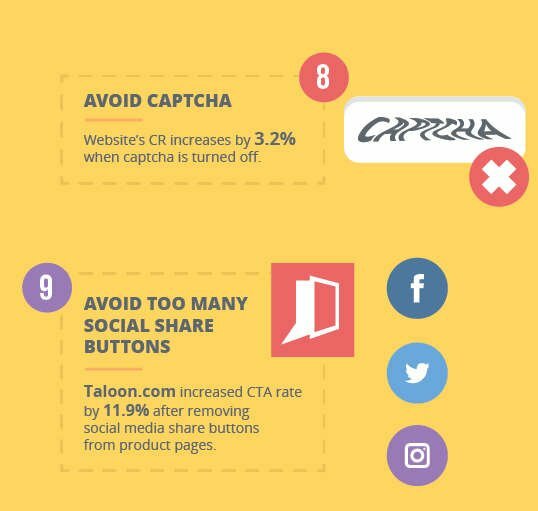 Also avoid too many social share buttons on your product pages. You run the risk of distracting your customer from buying if they are redirected to their social accounts. 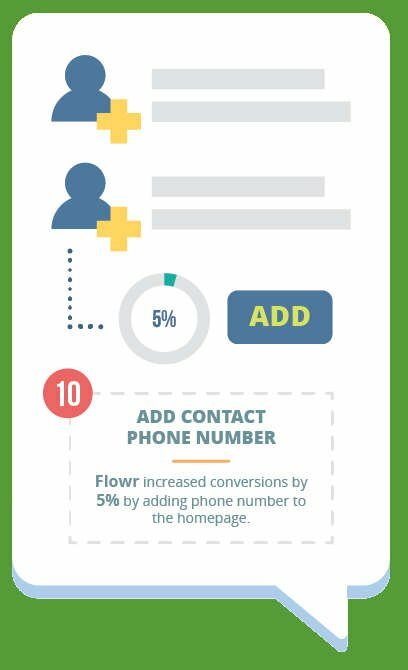 You can also increase conversion rates by adding a contact phone number to your website. With the increase of mobile usage (phones and tablets), it is vitally important that you website be mobile responsive. If it isn’t, contact us today and we’ll help get you were you need to be to support these users. 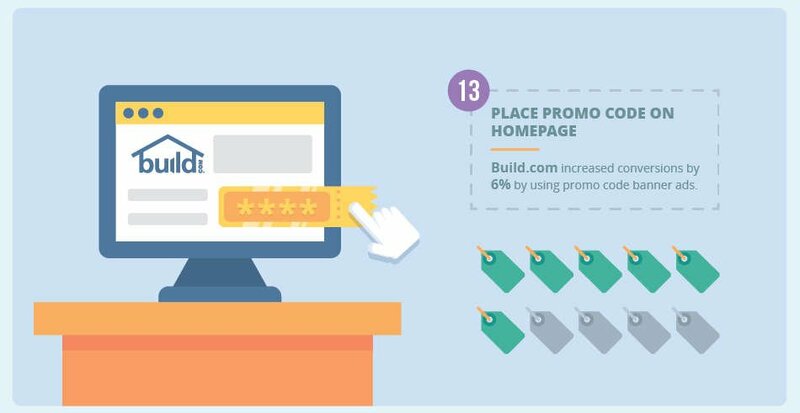 Adding a promo code to your home page can also increase conversion rates. I don’t think I can overemphasize the importance of A/B testing. The “trick” is to be sure to test only one single element at a time to see which brings in more results. This takes time and patience, especially if you don’t have a lot of traffic. Internet users are tired of so many logins. With all the data theft that has occurred in recent years, customers are leary about having their information stored on so many different servers. Help them by not giving them one more login to remember (or password to reuse—a very common habit of most consumers) and allow them to checkout as a guest. Many consumers are comfortable with PayPal. By adding a PayPal button to your checkout, you can increase mobile conversion rates by as much as 34%! Think about it, what’s easier? Click PayPal, which has all the payment information securely stored, or having to enter your credit card info into tiny form fields? A free trial can also work to your advantage. It may be a little tricky to set up but once in place, it can save the hassle of dealing with returns. Something work testing out (see A/B testing above), is the use of a Trust Seal. If you have SSL enabled on your site (and you should if you are an eCommerce site especially), you may be able to get a seal from the certificate distributor to display on your site. If not, there are standard images you can use to assure your customers that their information is safe. Of course, don’t claim this if you haven’t put the necessary things in place to do so. Video has taken over social media as the way to communicate. 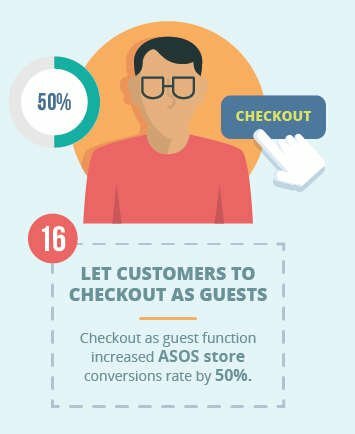 It is also the best way to increase conversions on your eCommerce site. It doesn’t need to be created by a professional to make an impact either. Your honesty in talking about and demonstrating your product will go a long way to convincing your customers. If your customers must complete a registration form in order to complete a purchase, keep it short. Only require as little information as possible. One way to handle this is as a multi-page form with just a couple fields per page; but if you do this, make sure to include some kind of progress indicator. Share testimonials from enthusiastic customers. Testimonials should be included not only on your home page, but throughout your site. If possible, include case studies detailing before and after buying your product to service and the difference it made to the client’s life or business. Be patient, and work on improvements every day. There is no such thing as an immediate success. With some investment, you’ll see the results.